Product Categories: Led Video, Scoring, Signage, AV and Sound Reinforcement. 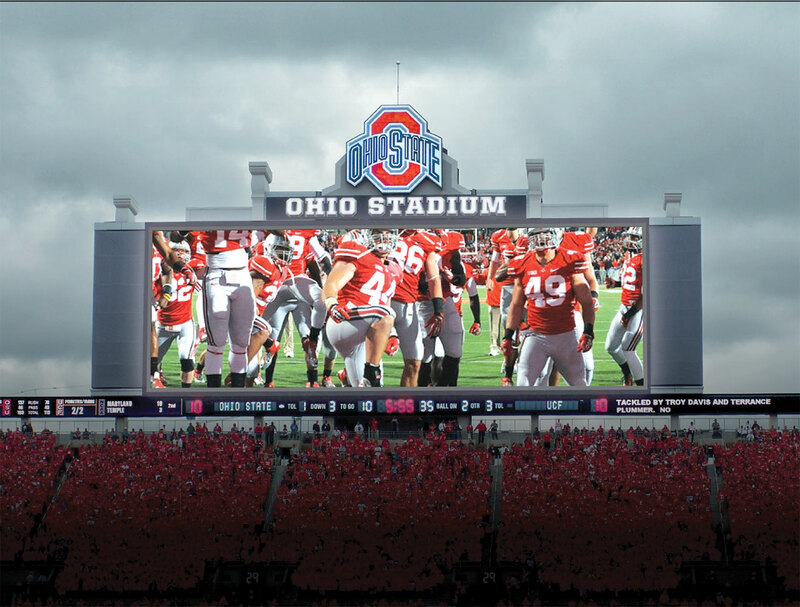 Ohio State’s 42-feet-by-124-feet scoreboard was constructed with Surface Mount Diode LED technology to provide a sharper, clearer and brighter picture with extra wide viewing angles of over 140 degrees. The high-definition screen is flanked by two clusters of speakers. The project began in April 2012 and was completed in early August 2012. 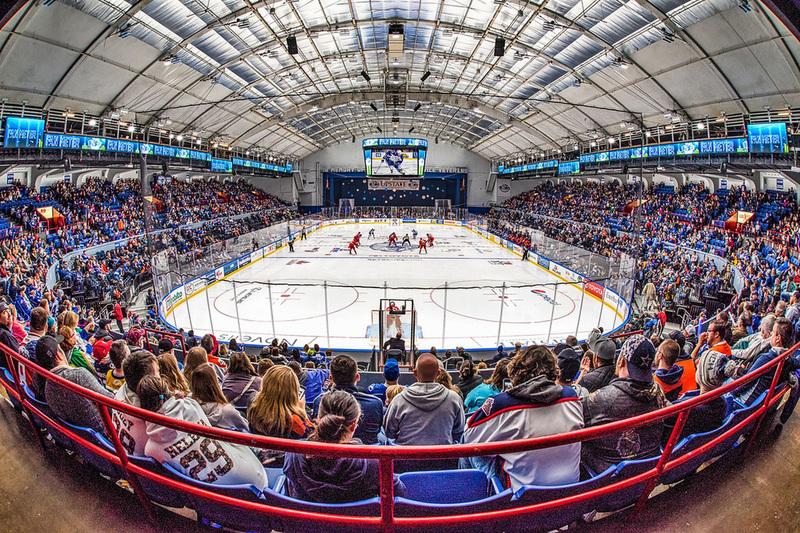 Sound in the stadium was dramatically improved by a Pro Sound line array audio system clustering a total of 25 speakers on each side of the scoreboard for improved directional sound. Additionally, speakers under the various decks of the stadium were environmentally refurbished; older speakers were replaced with new speakers fitted into the existing framework. 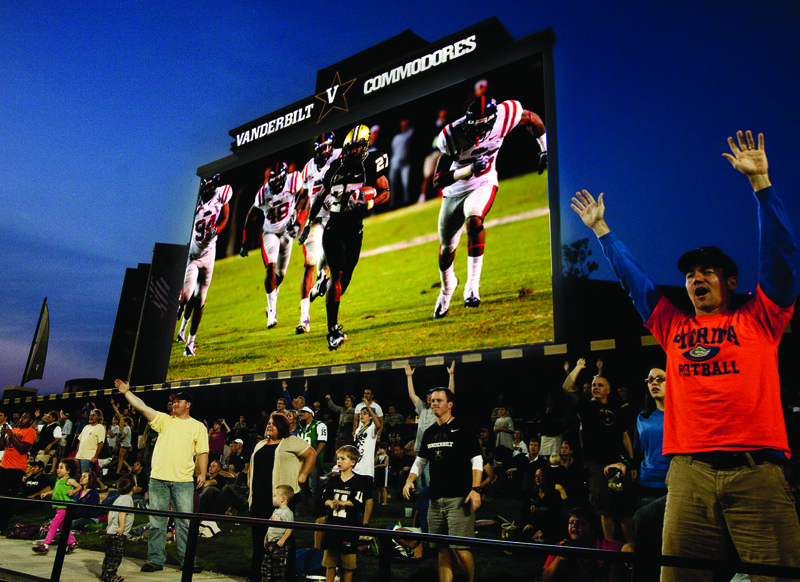 The South Stands ribbon boards – 4-feet-by-170-feet – display statistics and scores, and include a section designated for closed captioning. 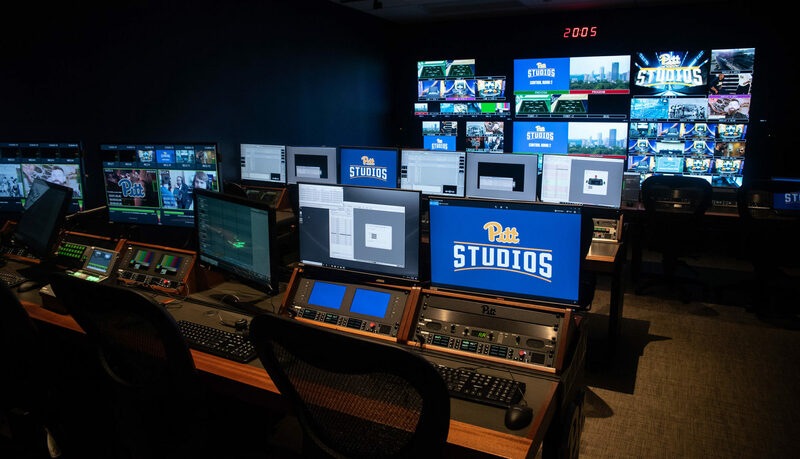 The improvement project also involved the conversion of 223 standard televisions to high-definition sets in all public areas, concession stands and concourses. Football fans flocking to the season opener at Ohio Stadium on Saturday should expect to see bigger and brighter images when they look up at the hulking scoreboard above the south stands. Workers are putting the final touches on a new scoreboard that’s part of a $7 million project that included adding ribbon video boards along the south stands to match those around the rest of the stadium, installing about 400 flat-screen televisions in concourses, common areas and in B Deck, and a new sound system and high-definition control board. I got a look at the new scoreboard Monday, and my initial reaction was the images on it were much sharper than those on the old model that dated back to 2000 during the $207 million overhaul of the Shoe. The new unit, which measures 42 feet by 125 feet, is also much bigger than the old 30- by 90-foot model. 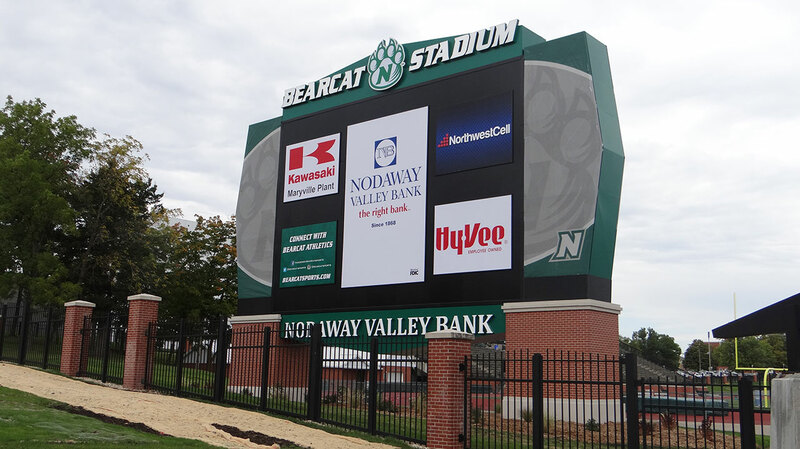 The former scoreboard served the stadium well, but it was time to invest in a new one, said Don Patko, Ohio State University’s associate athletics director for facilities. 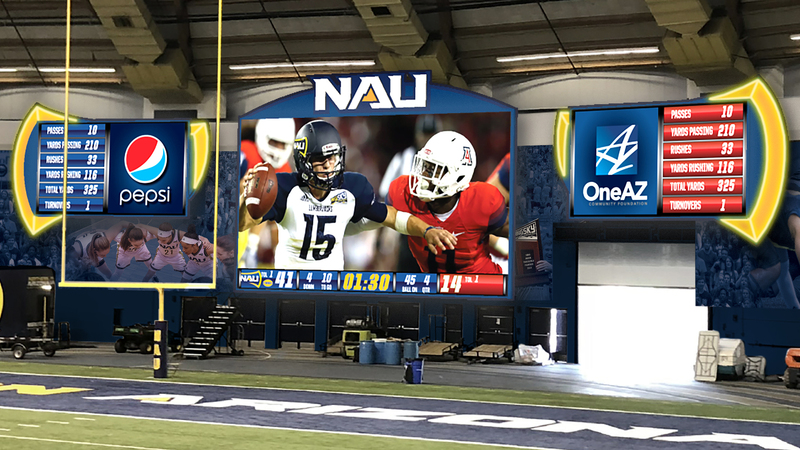 The athletics department replaced and recycled about 40 percent of the old LSI Industries Inc. SmartVision scoreboard with a high-definition Panasonic board that features something called surface-mount diode LED technology. 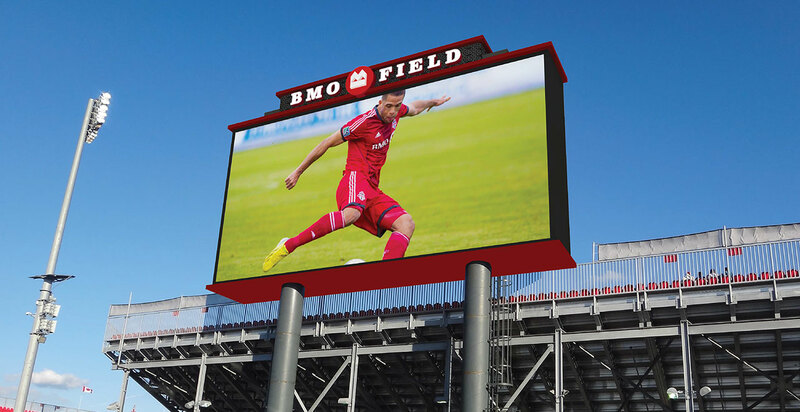 The result, Patko said, will be more brilliant pictures on the video board and improved viewing from all sides of the stadium. 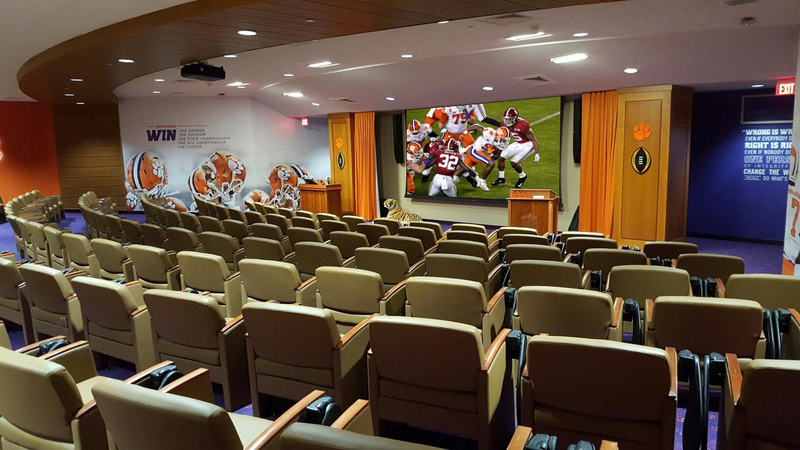 The improvements will also produce better sound around the stadium, he said. That new system, manufactured by Meyer Sound Laboratories Inc., has speakers arranged to pinpoint specific areas of the stadium with a goal of providing equal levels of sound whether you’re sitting in the primo sideline seats in A Deck and nose-bleed country in C Deck. Ohio State is paying for the upgrades with athletics department funds.